One of the most extreme and isolated parts of the Suru Valley, Rangdum is an oblique extended plateau encompassed by breathtaking hills on one side and encrusted rocky mountains on the other. 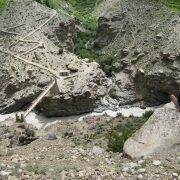 It is situated halfway between Kargil and Padum. The chief attraction of this place is a massive 18th century monastery ‘Rangdum’ which houses as many as 40 monks. It is perched atop of a centrally rising mound and ensconced by a separated route of a mountain stream. It creates an aura of age-old fortification protecting a mystical mountain. 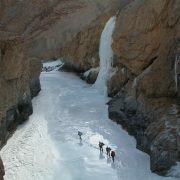 Rangdum valley is located midway between Kargil and Zanskar and a popular night halt for trekkers to Padum. 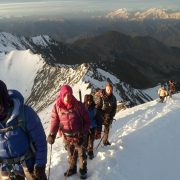 It is situated at an altitude of 13,225 feet. It is abounded by colorful hills on the one side and glacier coated rocky mountains on the other. The history of Rangdum dates back to the 18th century, when Gelek Yashy Takpa under the aegis of king Twesang Mangyul of Ladakh built the Rangdum monastery. The monastery is home to 40 monks and as many as donkeys. The people living does not depend on the agricultural activities and crop harvesting. Their livelihood depends upon the locally produced dairy and supplies brought up from Suru valley. The prime attraction of this region is a massive Buddhist monastery, which dates back to the 18th century and is home to around 40 monks. It is perched atop a vertical sugar-loaf hill, which is ingrained around by the separated route of a wild mountain stream. It offers a feel of an ancient defense protecting a mystic mountain valley. The central prayer hall of this monastery features an extensive range of original paintings and work of art. On either side of the monastery, there are two little hamlets- Yuldo and Tashi Tzonge- where human inhabitants are found. They are surrounded by rows of chorten. Enroute visit Liker Gompa and Alchi the oldest monastery in Ladakh. Early Morning after b/f drive lamayuru – suru valley. 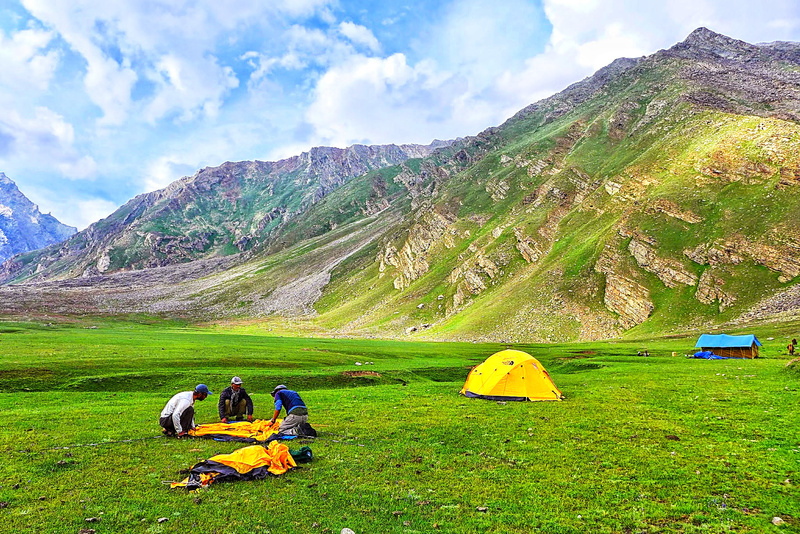 And get enter Suru Valley the greenest valley in that regions overnight at Camp at Panikhar. Enroute marvelous view of the Nun – Kun peaks. 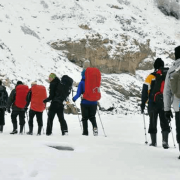 This will be rest day to view the Glacier of Darang durung. It will take 5 to 6 hrs to Akshow. The modern village on this side is Green plateau. Next will be Jeep safari. Drive to Karsha the oldest monastery in Zanskar region. 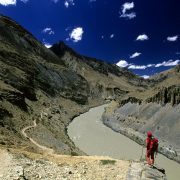 And also we will drive you to Zang La to visit the King Palace of Zanskar. Overnight at camp / Hotel. We can accomodate your specific needs.